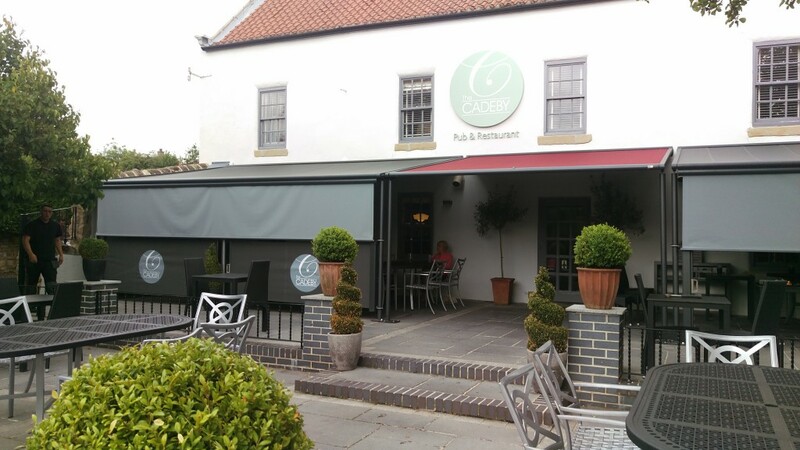 The Markilux Pergola retractable roof systems offer excellent protection from the sun and rain in commercial and domestic applications and The Cadeby Inn have several of these from us. A large outdoor garden area with provision for shading and weather protection on a raised veranda area offers customers the chance to relax under cover if required. Further protection is now offered with the drop down fabric valances installed. Recently we returned to install the Markilux Shade Plus drop down valance systems to provide further protection from low lying sun and wind. The fabric rolls out from a sealed cassette to drop down up to 2100mm in depth ad provide adjustable cover for the front. Almost all the Markilux fabrics are available for the Shade Plus to match or contrast existing fabrics.